DUBROVNIK, Croatia, April 13 (Xinhua) -- Chinese Premier Li Keqiang met with Romanian Prime Minister Viorica Dancila on Friday, calling on the two countries to enhance practical cooperation and boost bilateral ties. The meeting was held on the sidelines of the eighth leaders' meeting between China and Central and Eastern European Countries (CEEC) at the southern Croatian coastal city of Dubrovnik. 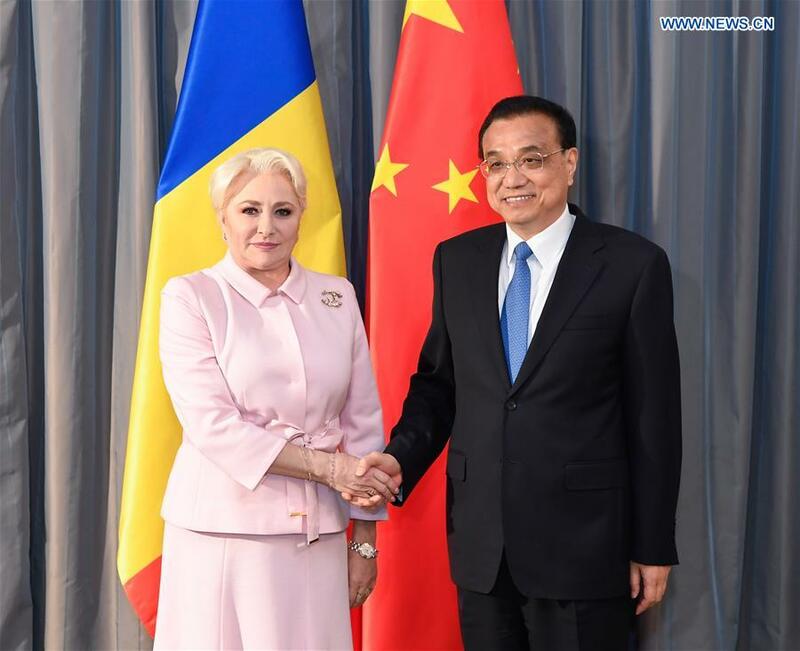 Noting that this year marks the 70th anniversary of the establishment of China-Romania diplomatic relations, Li said China is willing to work with Romania to conduct multi-layer and multi-area cooperation to lift bilateral ties to a new level. China is willing to enhance cooperation with Romania in such areas as nuclear energy, major projects, finance, agriculture and traditional Chinese medicine, Li said. The premier also expressed support for competitive Chinese companies to participate in bidding on Romanian projects in an open and transparent manner. China is willing to increase imports of high-quality agricultural products from Romania, said the premier. Li said China will also enhance cooperation with Romania within the framework of China-CEEC cooperation to make positive progress in practical cooperation projects, so as to make contributions to the development of China-Europe relations. On her part, Dancila said this year Romania and China will jointly celebrate the 70th anniversary of the establishment of diplomatic ties. She expressed hope that the two countries will maintain high-level dialogues, and promote practical cooperation in areas including economy and trade, investment, infrastructure, agriculture and traditional Chinese medicine to further boost bilateral relations. As the country holding the rotating presidency of the European Union this year, Romania is willing to take active measures to promote Europe-China relations, Dancila said.